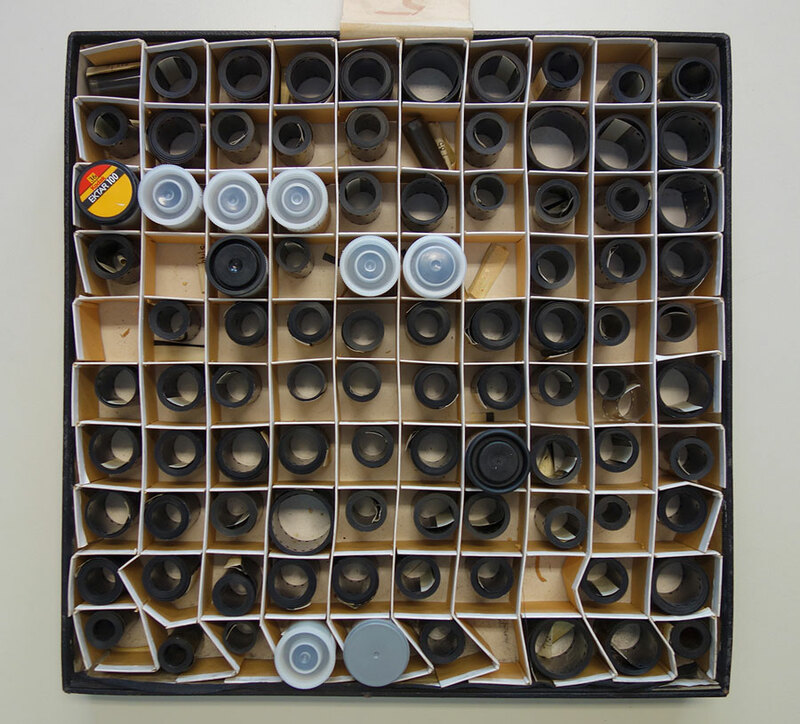 “Unboxing Photographs: Working in the Photo Archive” opens the boxes of four photo archives to showcase the material diversity of photographs as three-dimensional objects: from glass plate negatives, to 35 mm film, to prints on albumin or silver gelatin paper. These photo-objects are taken in the hand, tilted and turned over, labeled, cut down, framed, glued into albums, printed, and dispatched or posted online. Contact and inventory sheets, cardboard mounts, card catalogs, and today even display screens are integral parts of the photo-object, or even constitute it. This exhibition is the product of a joint research project: Photo Objects – Photographs as Objects (of Research) in Archaeology, Ethnology and Art History, mounted by the Photothek of the Kunsthistorische Institut in Florenz – Max-Planck-Institut, the Photographic Collection of the Kunstbibliothek and the Antikensammlung at the Staatliche Museen zu Berlin, and the Institut für Europäische Ethnologie der Humboldt-Universität zu Berlin, sponsored by the German Federal Ministry for Education and Research. Other exhibition sponsors are: the Schering Stiftung, and the Verein der Freunde der Antike auf der Museumsinsel Berlin e.V.